On 20th March 2018 we celebrate 50yrs of the Social Work (Scotland) Act 1968 …just a few days after I will have celebrated similar longevity. Little did I know in 1968 how our paths would be so intertwined 50 years on. 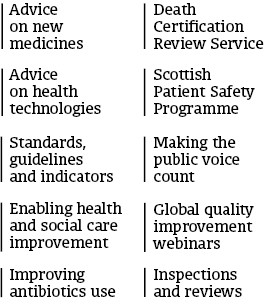 Just over a year ago I took up a post in Healthcare Improvement Scotland’s Improvement Hub (ihub) – to help support the integration journey of Health and Social Care. In particular this was to help develop and spread an understanding of Self-directed Support (a mere 5yrs old on 1st April this year) across the various programmes of support that the ihub provides and to help colleagues in Health and Social Care Partnerships to put some of the pieces of the new integrated jigsaw together. As I started I had two key thoughts in my head – things that ‘everyone knows’ about Health and Social Care. Firstly, the two have been uneasy bedfellows – passing the buck of responsibility to each other regularly – that’s why integration was necessary wasn’t it? The second ‘common knowledge’ was that I would be a small Social Work voice in a big Health organisation. This second point being particularly concerning given that I am not even a bona fide Social Worker! Not what you might think as a particularly positive starting point – agreed – but I felt really optimistic. At a local level there has been a long history of great, real partnership working – based quite simply on good relationships – strangely enough the very thing at the heart of both Health and Social Care – good conversations about What Matters. This week the ihub are taking the opportunity to share some of the great work being done which very much is about people and What Matters to them. These examples show the common ground between Health and Social Care colleagues. Some, like the work around mental health, has been going for a while and shows the extent to which there has always been common ground. Other pieces of work have really been developed over the past year and reflect the ways in which the integration agenda has shaped the work of the ihub to become increasingly broader – not only into Social Work but also building on the connections with Housing, the Third and Independent Sectors and communities across Scotland. So, how about those concerns about uncomfortable bedfellows and being a small voice? Well, clearly there were grains of truth in both but my experiences over the last year have increased my optimism rather than depleted it. There are a couple of programmes of work which really capture the journey – Community Led Support and Neighbourhood care. You will see more about these over the coming week but both are about putting Health and Social Care back into communities and building on Good Conversations – all the while valuing what is already positive in people’s lives. In both cases a common piece of feedback is that Health and Social Care staff feel they are ‘getting back to their roots – the reason they got into their profession. In the words of Donkey from Shrek, “Are we there yet?” No, definitely not, but are we under way, most definitely. At this point of several anniversaries I think it is particularly worth thinking about what the Social Work (Scotland) Act 1968 aimed to do – to offer Advice, Guidance and Assistance to those who needed it – to help them to live well in their own communities. While we may well have come full circle on this it is important to recognise all that we have learned in the intervening years and to build our integrated Health and Social Care services on this rich knowledge. So, just as Social Work is reflecting on 50 years of experience and re-imagining the future with its lifelong friend, the NHS and I have been doing the same thing. The things that mattered to me 50 years ago still matter – being loved and cared for. As I have gone on many journeys, some good and some not so good, I have learned from them all I now re-imagine my next 50yrs (well we are living longer after all). The things that mattered in Social Work are still the same and they are being re-imagined through eyes new and old. They are also being done with the support of all in Healthcare Improvement Scotland and its ihub, so we are happy to spend this week celebrating 50yrs of the Social Work Act.